Looking at the speed range of a drive system is only part of the issue when designing a system requiring the capability to control speed by small increments for precision applications. All servo drives are not the same and when you are involved with an application that has some critical performance requirements, you need to be aware of the differences. One of the main issues is that the majority of drives available on the market, whether inverter or servo, are digital and all signals to the drive are converted to allow further processing. This conversion and its resulting data need to be understood before committing to a particular drive solution. To explain this we'll stick with the same application we considered in part one, and the company in Vienna, operating the high-precision super metering pumps. We know that the company's engineers required a flow rate range of 0 to 500ml/minute, with the speed demand selectable in increments of 0.1ml/min. Let us imagine that the speed is to be controlled over a +/-10V analogue input. There are a couple of things that need to be addressed. We will make the assumption that the signal provided over the analogue input is pure analogue. If it is not, you’ll have the same considerations to make on the equipment generating the signal as with the equipment receiving and processing the signal. So how does this relate to our application? As already stated the company wants to run the pump at up to 500ml per minute, in increments of 0.1ml per minute. Driving the pump input is a servo motor running at 3000rpm, through a 25:1 gearbox. The 3000rpm on the servo motor is, therefore, the factor ultimately controlling the flow rate of the pump. Can a servo drive handle such small variations? The short answer is yes, however it is dependent on the servo drive you are using. If the servo drive does not have a high-resolution analogue input, then you could be in trouble. Let’s look at an example where the analogue input is 12-bit resolution. 12-bit resolution equates to 4,096 increments or approximately 2.5mV. So we don’t seem far off, but the first bit (the Most Significant Bit, or MSG) may be reserved for defining the direction (Positive or Negative), so our resolution is actually 11 bit for the speed portion of the signal or 5mV. 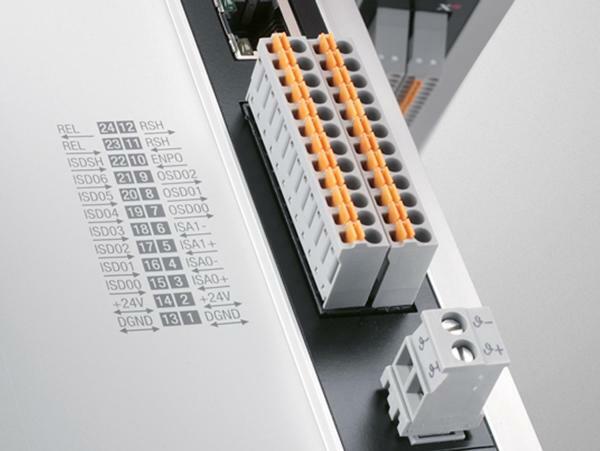 There may be workarounds if your drive does not have an analogue input with a sufficiently fine resolution, such as using a digital interface (serial coms, fieldbus, etc). Some drives may offer the function of setting the input for a speed value without direction signal (eg. 0 to 10V), if you are only driving the motor in one direction, as we are doing on this pumping application. 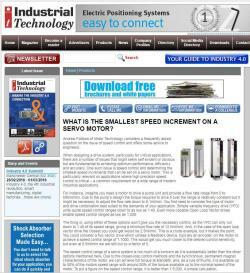 See our technical article on the smallest speed increment, in the news, at Industrial Technology! 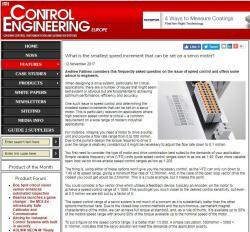 See our technical article on the smallest speed increment, in the news, at Control Engineering Europe!